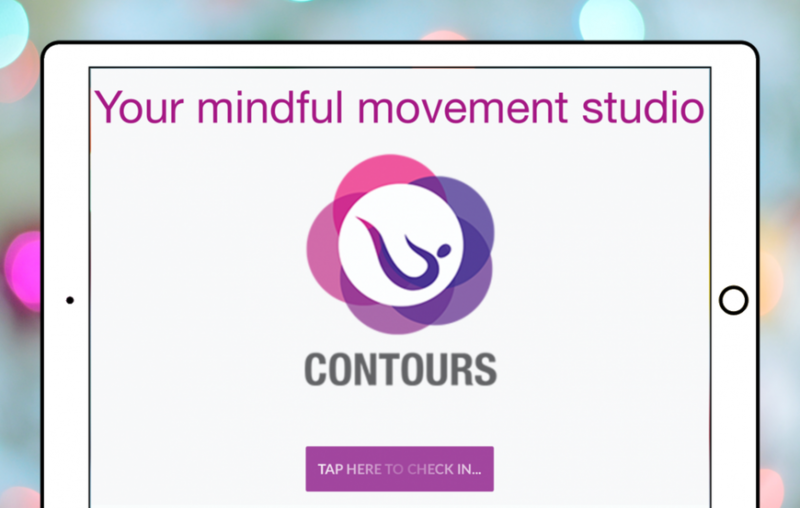 Contours Studios is a mindful movement studio that offers clients a high-end boutique studio experience with services that include Pilates, Hatha and Vinyasa yoga, Tai Chi, meditations, and movement training, among other services. But with as rejuvenating as the studio’s classes are for its clients, there was one area of the business that did not flow as well as Founder Rana Jabbour hoped: the client check-in process. There previously had been no way for clients to easily check in for their class times or training appointments, or for trainers to be notified of a client’s arrival to the studio, making the process awkward and confusing. So Jabbour began searching for a solution to bring Contours Studios’ check-in experience up to the same standard as the classes it held. That’s when Jabbour found The Receptionist for iPad. Now, clients checking in to Contours Studios are greeted by an iPad kiosk. They type in their name, select the session they are attending, the time their session begins, the name of the trainer or instructor, and finally sign their name to have documentation of their attendance. Then, the appropriate staff are notified that their client has arrived and that their session is about to begin.